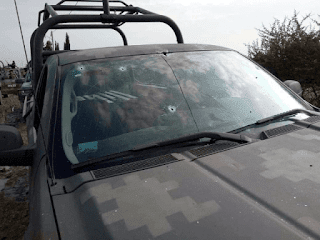 A gunbattle took place this week in the town of San Julian, Jalisco. State police responded to an anonymous call of several men carrying firearms. When police arrived at the scene they were overwhelmed with firepower and called for backup. 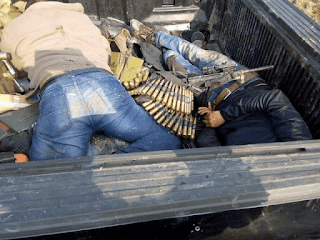 The gunmen were reportedly the personal bodyguards of Ruben Nemesio “El Mencho” Oseguera Cervantes, the leader of Mexico’s Cartel Jalisco Nueva Generación (CJNG). 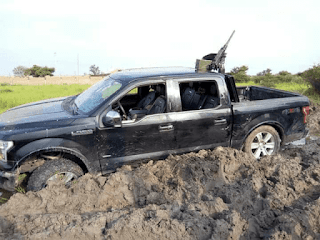 During the gun battle, the gunmen deployed .50 caliber machine guns, grenade launchers, and other pieces of artillery they had mounted on vehicles. The two sides fought for almost an hour until the gunmen escaped.